Abstract: Alaska Native communities depend on customary and traditional use of natural resources for physical, emotional and cultural sustenance, and community members are concerned about threats to local ecosystems posed by logging, mining, overharvesting, invasive species, fresh and marine water pollution, and climate change. To support one community’s efforts to address these concerns, we have developed an experiential geoscience education program for grades 5 – 12 that draws upon both western science and traditional knowledge. In this program we have found that students are best served by a pedagogy that is founded upon community partnerships, focuses on community needs, reinforces cultural traditions, and presents western science and traditional knowledge as equal and complementary bodies of knowledge. This program has contributed to an increased number of high school graduates pursuing college degrees and has been welcomed by the community as an integral component of cultural revitalization. The Center for Coastal Margin Observation and Prediction (CMOP) is a multi-institution, NSF-funded Science and Technology Center that uses an interdisciplinary approach to study coastal margins, with primary geographic focus on the Columbia River and its interaction with the Eastern North Pacific Ocean. With place-based research as a catalyst, CMOP is working with Native American communities in the Pacific Northwest (PNW) and Alaska across multiple dimensions of the center’s mission, including education and knowledge transfer. Workforce development is a high priority issue for PNW tribes, who are actively seeking Native scientists able to incorporate scientific skills within “traditional knowledge” in order to manage natural resources in a way that is congruent with tribal values and traditional way of life (Bueno Watts & Smythe, in review). Traditional Knowledge (TK) is the information that people in a given community, based on experience and adaptation to a local culture and environment, have developed over time, and continue to develop. This knowledge is used to sustain the community and its culture and to maintain the genetic resources necessary for the continued survival of the community (Hansen & Vanfleet, 2003, p. 3). A potential solution to this challenge is to create open, supportive, and well-defined pathways from native communities to western science higher education programs and back to the communities, where tribal members will ultimately be empowered to evaluate and monitor the health of their environment. With this framework in mind, CMOP seeks to support American Indian/Alaska Native students in pursuing academic and career pathways in coastal margin sciences, through programs such as our CMOP-School Collaboratories program (Bueno Watts & Smythe, in review). This paper illustrates one such collaboratory – which in fact incorporates an entire community – created through a geoscience education program for grades 5-12 in the Haida community of Hydaburg, Alaska. The objective of this program was to incorporate traditional knowledge into geoscience education, thereby improving geoscience literacy and attitudes towards both traditional knowledge and western science by Alaska Native students and community members. To accomplish this objective we employed language, tools and skills from both disciplines to offer an engaging and culturally relevant geoscience curriculum. This effort was led by a consortium of scientists, educators, elders, and tribal groups focused on empowering Hydaburg youth to one day assume leadership roles in the management of natural resources that are key to sustaining their community and their way of life. In this effort we presented western science not as the primary method to understand local ecosystems or to drive resource decision – after all, Alaska Natives have successfully studied, utilized, and managed lotic and coastal ecosystems for thousands of years. Rather, we presented western science as a tool to understand how local ecosystems are changing in response to rapid anthropogenic inputs, to augment traditional resource management techniques, and to reclaim traditional practices gone underutilized as a result of the historical repression of Native cultures. Our pedagogical approach emphasized a respect for local traditions, knowledge, and culture, and was explicitly driven by community-identified needs. Each individual science topic was chosen due to a specific interest expressed by teachers, students, or the tribal community. For each topic our group learned the traditional perspective and language terms by consulting with one or more community members with traditional expertise. Our program provided a variety of student-centered, inquiry-based, and culturally relevant activities that utilized both western science and traditional knowledge. These activities included both field and laboratory components and were enriched by the use of remote scientific instruments, including a scanning electron microscope (SEM), computed tomography and a remotely operated vehicle. Topics included watershed, lake and ocean studies, bio-assessments, water chemistry experiments, microbiology studies, mollusk ecology and anatomy, and dendrochronology. 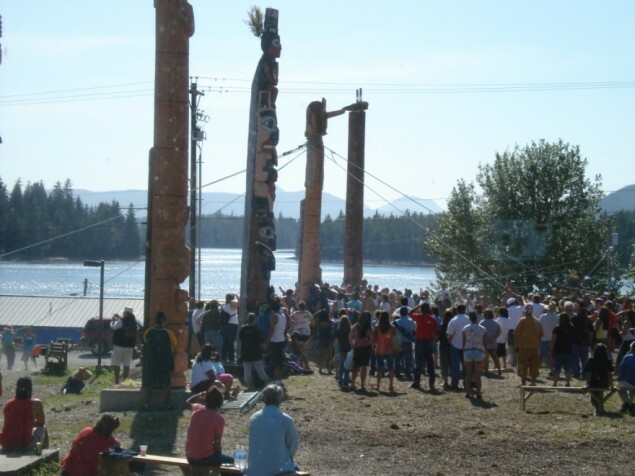 Cultural activities included video and audio recordings of elder interviews, translation of scientific terms into the Haida language, use of traditional stories and songs, and summer culture camp support. We also supported the local chapter of the American Indian Society of Engineering and Science (AISES) by subsidizing student trips to AISES and Geoscience Alliance conferences. The challenges faced by native schools and communities are well-documented by both native and nonnative authors. This review focuses on studies conducted by or in close association with Native Americans and Native Alaskans, in an attempt to better understand issues and community dynamics from a native perspective (Swisher, 1996). Many studies (Brave Heart & DeBruyn, 1998; Brave Heart, 2003; Whitbeck, Adams, Hoyt, & Chen, 2004) point to a historical trauma on native communities that is transmitted across generations. This trauma is identified as deriving from a history of genocide, displacement, abusive boarding schools, prejudice, and forced acculturation–and as being compounded by ongoing poverty, discrimination, depression and anxiety, substance abuse, suicide, and violence. These issues are often reflected in the schools. Although education reform in the 1970s and later replaced federal and state schools, which focused on acculturation, with locally controlled schools (Deyhle & Swisher, 1997; Dlugokinski & Kramer, 1974; Lomawaima, 1995), native schools still employ an overwhelmingly non-native teacher base with an exceedingly high turnover rate (Barnhardt & Kawagley, 2004). In 2003, the U.S. Commission on Civil Rights found that native students commonly experienced “deteriorating school facilities, underpaid teachers, weak curricula, discriminatory treatment, and outdated learning tools” (Berry et al., 2003). Despite these challenges, native communities and their schools have begun to revitalize (Brave Heart, 1999; Brave Heart & DeBruyn, 1998), reclaiming traditions, culture, and language. Effective science education efforts can both support and capitalize on this movement by adopting culturally relevant and student-centered pedagogies and by educating non-native teachers about the specific cultures of the native communities in which they live or work (Hatcher et al., 2009). Cajete (1999) notes that pedagogies must recognize the current state of Native American culture, both accommodating the ways in which Native Americans have traditionally learned and recognizing how native cultures have changed since the 1900s. Although native cultures are far more diverse than often recognized by most non-natives, a number of core values, beliefs and practices are shared by many native communities (Cajete, 1999). Traditional knowledge has been acquired over multiple generations through firsthand interaction with local ecosystems (Cajete, 1999; Deyhle & Swisher, 1997; Kawagley & Barnhardt, 1999; Mack et al., 2012; Nelson-Barber & Estrin, 1995; Simpson, 2002; Zandvliet & Brown, 2006). Competency in natural resource science and management was essential for–and defined by–survival (Barnhardt & Kawagley, 2005; Simpson, 2002). Thus, traditional knowledge systems contain abundant and time-tested information despite the fact that the confirmation mechanism is different than that of western science. Unlike the compartmentalized knowledge systems of western culture, in which science is a highly specialized practice, traditional knowledge systems are woven into a single body of knowledge (Barnhardt & Kawagley, 2005). Both traditional knowledge and western science are founded on empirical observations, but traditional knowledge incorporates a holistic approach that perceives natural phenomena in non-deterministic, cyclical, contextual terms (Haig-Brown, 1995). Though this view differs from the more deterministic and axiomatic science generally taught in mainstream schools, Riggs (2003) has noted that it may present natives with an advantage understanding such concepts as complex natural systems, geologic time, and long-term environmental cycles. Riggs also notes that because these integrative concepts are fundamental in the geosciences, an earth systems pedagogy has advantages for native students. Despite many challenges over the past few centuries, much traditional knowledge has been preserved through both continued practice and the telling of oral traditions, which typically interweave allegorical lessons and cultural wisdom with empirical observations (Brighthurst, 2000). The ability of cultures with no written languages to maintain knowledge across multiple generations is non-intuitive to a western scientific culture highly dependent on written records. However, the amount of accurate detail in oral traditions describing, for example, the eruption of Mt. Mazama in Oregon seven thousand years ago (Heusser & Grabher, 2002) or the timing of catastrophic tsunamis along the pre-colonial Oregon coast (Ludwin et al., 2005) demonstrate the effectiveness of native oral histories. Increasing recognition of the added value of traditional knowledge has led to its incorporation into a number of scientific studies (Barnhardt & Kawagley, 2004, 2005; Davidson-Hunt & O’Flaherty, 2007; Nelson-Barber & Estrin, 1995). The cultural differences between traditional and western knowledge systems have created challenges in equitably educating native students. A first challenge is posed by the common belief that traditional knowledge systems are inferior and lacking in real or meaningful data (Deyhle, 2010; Deyhle & Swisher, 1997; Haig-Brown, 1995; Kawagley & Barnhardt, 1999a). This belief stimulates teachers to “correct” the ethnoscientific knowledge with which many native students are endowed (Kawagley & Barnhardt, 1999b; Deyhle & Swisher, 1997). Native students are forced to choose between the “correctness” of one knowledge system over the other; many choose the system in which they were raised, withdrawing from active participation in school and sometimes leaving school altogether. Although choosing their native cultures leads to “failure” as defined by their teachers and mainstream society, students making this choice view their actions as a successful rebellion against an unjust system (Deyhle, 2010; Deyhle & Swisher, 1997). A second challenge is a set of teaching strategies that conflict with the learning methods of many native students (Barnhardt & Kawagley, 2005; Cajete, 1999; Kawagley & Barnhardt, 1999b; Nelson-Barber & Estrin, 1995). The teaching of global axioms in mainstream schools is in opposition to the situational ecological relationships taught in native cultures (Haig-Brown, 1995). Common classroom practices such as rapid-fire question and answer sessions may pose difficulties for native students, who tend to prefer contextualized lessons in which they observe before practicing – i.e. “watch-then-do” (Cajete, 1999). Although native cultures vary, Cajete (1999) describes some common attributes of native learners, including quietness and patience, a cooperative social orientation, a holistic and spiritualistic view of nature, a non-linear sense of time, an open work ethic (i.e., work is valuable when it serves a valuable purpose) and a cautious approach to new situations. The shortcomings of educational systems based on forced acculturation have been documented in other cultural contexts (Cobern, 1996; Kirkness & Barnhardt, 1991; Phelan, Davidson, & Cao, 1991). Conversely, studies have shown that, depending on the degree of cultural difference between students and mainstream society, students whose worldviews are explicitly respected and affirmed may be more competent in both their native culture and in the mainstream culture of the schools (Aikenhead, 2001; Aikenhead & Jegede, 1999; Barnhardt & Kawagley, 2004; Brown, Collins, & Duguid, 1989; Costa, 1995; Deyhle & Swisher, 1997; Phelan et al., 1991). Further, studies have shown that native students taught in their own language fare better on standardized tests and exhibit higher self-esteem (Deyhle & Swisher, 1997; Wright, Taylor, & Macarthur, 2000). Nelson-Barber and Estrin (1995) note that pedagogies well suited for native communities align closely with constructivist best practices in modern science education – i.e., new knowledge is built upon prior knowledge through direct interaction in an appropriate, understandable context (Bransford, Brown, & Cocking, 2000). In particular, there are clear parallels between traditional knowledge and the constructivist notions that an individual’s body of knowledge is constructed from direct experiences with the world; that knowledge exists within the contexts of culture and personal perspective; and that “truth” varies from person to person (Colburn, 2000). However, Nelson-Barber and Estrin (1995) also note that mainstream constructivist pedagogies must be augmented with specific cultural practices to significantly improve Science, Technology, Engineering and Math (STEM) education for native students. Mack et al. (2012), through a series of interviews with informal educators in native communities, identified a comprehensive set of attributes necessary for success in informal native science education program. Subsets of these attributes have been identified by others (Barnhardt & Kawagley, 2004, 2005; Burhansstipanov, Christopher, & Schumacher, 2005; Cajete, 1999; Davidson-Hunt & O’Flaherty, 2007; Deyhle & Swisher, 1997; Haig-Brown, 1995; Hatcher et al., 2009; Inglebret et al., 2008; Kawagley & Barnhardt, 1999b; Kirkness & Barnhardt, 1991; Nelson-Barber & Estrin, 1995; Riggs, 2005; Simpson, 2002). the application of research on both native ways of knowing and western science. Southeast Alaska is the main territory of the American Haida population. The community of Hydaburg, located in a temperate coastal rainforest on Prince of Wales Island, is richly endowed with a wide variety of natural resources and has retained much of its knowledge and skills pertaining to customary and traditional use of local resources. The community is centered on the Hydaburg River, which empties into the narrow Sukkwan Strait and ultimately in the Eastern North Pacific Ocean, presenting a multitude of freshwater and marine opportunities for fishing, hunting, and gathering. Hydaburg River and other nearby rivers support generally healthy salmon runs, though according to tribal elders and fishermen the numbers of salmon have declined in certain watersheds due to logging activity (Glenn Douglas and Claude Morrison, personal communication, 2010). Local old-growth, second-growth and recently logged watersheds provide wild game and berries, tea and medicinal plants, and wood products for firewood, building materials and art products. Sukkwan Strait and the surrounding environment supply an abundance of fishery resources such as anadromous fish, halibut, herring, crab, shrimp, bivalve mollusks, salicornia and other sea greens. The American population of Haida originally settled on Prince of Wales Island in the 16th century, having emigrated from Haida Gwaii, located off of what is now the coast of British Columbia. As with many other tribes, the past two centuries have provided daunting challenges to the Haida people and culture. The introduction of Euro-American diseases occurred in the late 18th century and by the late 19th century; smallpox and other diseases had reduced the Haida population by 90% (Brighthurst, 2000). Soon after, state and federal boarding schools began separating young children from their families, systematically disciplining them for speaking their native tongues or practicing native traditions. This practice continued into the mid-20th century and many of today’s Haida elders experienced the abuses of boarding school (Georgianna Douglas and Glenn Douglas, personal communication, 2011). Although native students at boarding schools employed a number of strategies to hold on to their culture (Brave Heart, 1999), by the end of the 20th century, the Haida language was spoken fluently by an estimated total of only 45 people – 15 in America and 30 in Canada (Lewis, 2009). However, as in other Alaska Native/Native American communities, Hydaburg tribal members are forging a cultural revival. Haida linguists are teaching Haida language classes and archiving traditional stories of Haida history from tribal elders. Though school instruction is in English, elementary school students learn Haida-language songs and games as well as oral traditions translated into both English and Haida. The community has a number of master and apprentice carvers, weavers, and artists who use traditional tools to create stunning works of art founded on traditional designs. Hydaburg holds an annual culture camp that emphasizes teachings in Haida language, art, and traditional practices. Although the youth in Hydaburg have maintained a strong Haida identity and community elders are revered by the younger generations, few youth openly practice the traditional culture of their grandparents and great-grandparents. Instead, the youth with whom we worked were oriented to mainstream popular music, movies and technology. The dominant social and physical youth activity is basketball. The school system struggles with low student achievement, and the youth in Hydaburg exhibited many of the symptoms of historical trauma described by Brave Heart (2003), specifically withdrawal from school participation and a lack of self-confidence in academic disciplines. In traditional Haida culture, parents support and nurture their children while skills, knowledge, and discipline are taught by extended family members such as aunts and uncles (Glenn Douglas, personal communication, 2010). Children with particular abilities are mentored by specialists in the appropriate aspect of traditional knowledge. According to Haida elders, many aspects of traditional knowledge are considered sacred or privileged and are taught only when students are considered to be sufficiently mature and competent (Georgianna Douglas, personal communication, 2011). Although we could not replicate this teaching model, our goal was to offer a culturally relevant, engaging geoscience curriculum that supported the community’s and students’ needs. This program did significantly deviate from the best practices identified by Mack (2012) in that we did not take an explicit “culture first” approach. This was for two reasons: (a) because only two tribal members – the town’s environmental planner and our team leader – had Western science expertise, a significant portion of the program was led by non-natives who were not culturally fluent; and (b) because no students spoke fluent Haida, instruction was primarily in English with Haida terms and phrases incorporated as a second-language supplement. Thus, the program’s de facto approach was to place western science on an equal footing with traditional knowledge. We felt that because students were heavily oriented to modern culture, our approach would be more effective than attempting to ground our lessons entirely in traditional values and culture. In this program we provided a wide variety of STEM enrichment activities for students in grades 5-12. Lessons were provided using a student-centered strategy, probing students for their knowledge, experiences and interests before deciding what material we would teach and at what level we would teach. The material taught was placed in practical rather than traditional context, emphasizing how watershed ecology and oceanography connected to the community’s water supplies for consumption, recreation, and fishery resources. When the students would share their traditional knowledge, we would use this opportunity to actively reinforce the validity of that knowledge and to point out the ways in which western science complemented it. Whenever possible we incorporated stories told by community members in Haida and translated into English, and introduced Haida terms to the students (Appendix I). STEM enrichment activities were delivered to students in three discrete weeks of each school year and one week each summer of the program. Each week-long visit had a different purpose and emphasis. The first visit, at the start of each school year, focused on field and laboratory exercises related to the nearby coastal watersheds and served to align our instructional activities on practical and traditional community needs. Mid-year visits focused on maintaining relationships with students and teachers, helping teachers make progress with student projects, and establishing projects for the spring science symposium. End of year visits focused on the science symposium, with team members and teachers helping students complete and exhibit their science projects. The summer trip’s purpose was to support culture camp activities with family science experiences and to support tribal assessments of key fishery and watershed resources conducted with the help of high school and undergraduate interns. Each visit to Hydaburg was followed by a team debriefing in which we identified what students learned and what questions were raised by the activity. The fall field science activities included macroinvertebrate-based bioassessments (Figure 1) and chemistry-based water quality studies of local rivers, deployment or collection of marine shipworm traps at the local marina, dendrochronology studies of newly sawn totem poles to document climate change, microbiology studies of various surfaces and water sources, and oceanography science. We loosely followed the KWL (What do you Know, What do you Want to know, What did you Learn) format (Carr & Ogle, 1987) for introductory and follow-up discussions of each activity. Field trips and experiments were preceded by a discussion of students’ prior knowledge and an introduction of science concepts using diagrams, maps, group discussion, and traditional stories relevant to the topic. Figure 1 Elementary school students identifying macroinvertebrates. During the winter trip, one member (Smythe) traveled to Hydaburg to reiterate material taught at the beginning of the school year and to introduce new material for the upcoming spring visit. In meetings with teachers we discussed any activities that had been introduced as a result of our fall trip; although we encouraged teachers to build on the fall field studies, for logistical reasons (primarily sports schedules and poor weather conditions) this follow-through was often minimal, especially at the high school level. Finally, in classroom discussions we helped students plan science fair activities that they would pursue during the winter and spring. An engaging activity that allowed us to extend the fall field studies into the winter was the remote examination, via a SEM physically located at Portland State University, of macroinvertebrate specimens gathered by students in the fall. These specimens were preserved in 50% ethanol and brought to Portland by project team members. Unlike many advanced scientific instruments, the fundamental data produced (secondary electron images) by an SEM can be interpreted intuitively and without special training (Beane, 2004), although a detailed understanding of SEM contrast mechanisms requires more study. Further, modern SEM instruments are controlled by computer interfaces and therefore can be remotely operated via an internet interface. 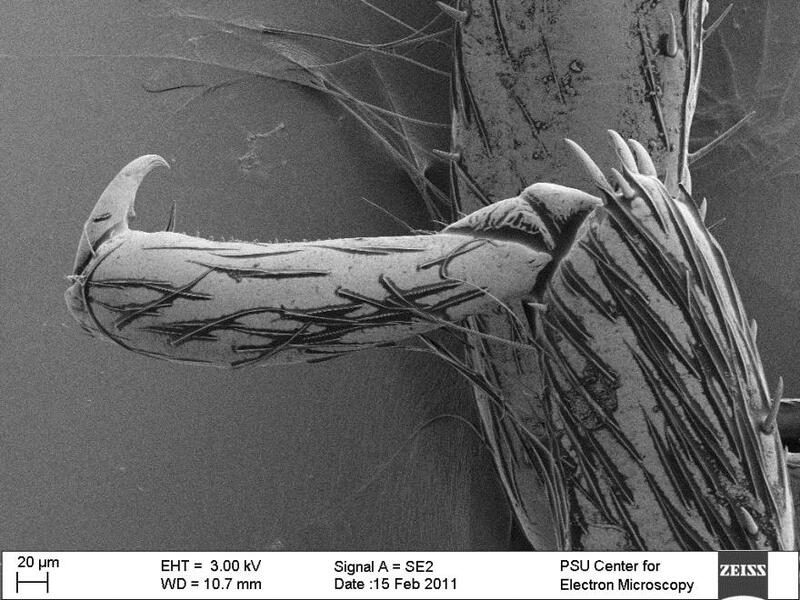 Figure 2 displays a sample SEM image that was acquired remotely by Hydaburg students. The spring trip was focused on science experiments for the year-end, non-competitive science symposium. However, our team of 6-9 scientists also led throughout the week a variety of fun, hands-on experiments and demonstrations, such as Mentos™ geysers, crystal growth experiments, luminous bacteria streak plates, and science-themed skits. For most of the week, project team members helped individual students or small groups complete a wide variety of science experiments. Over the course of the two and a half-year enrichment program, students in grades 5-6 performed consumer research (e.g. “which bubble gum blows the biggest bubbles?”) and electricity experiments. Students in grades 7-12 pursued small-group projects appropriate for their earth science, biology, and chemistry classes or participated with a larger group that built a three-dimensional, spatially accurate coastal watershed styrofoam-and-clay model based on a topographic map of Hydaburg (Figure 3). The multi-grade special education class performed remarkably sophisticated, social peer-pressure experiments in which survey subjects were pressured into choosing a particular brand as the tastiest peanut butter (younger group), or identifying the larger of two polygons based on a previous student’s identification. Figure 3. 3-D model of Hydaburg built with styrofoam sheets and modeling clay. Vertical relief is exaggerated. The model is waterproof so students can simulate surface water flow by pouring “rainwater” on the surface. 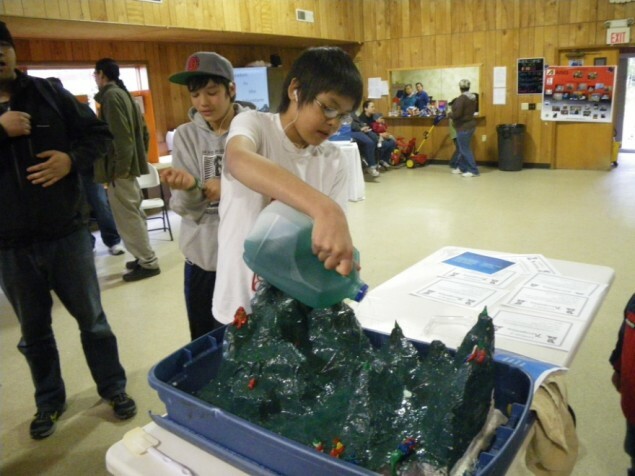 Summer activities included CMOP- and tribal government-sponsored watershed assessment internships and and enrichment activities that added value to the tribe’s annual culture camp (Figure 4). During culture camp, family groups were taught to perform water quality assessments using macroinvertebrate surveys and tide pool ecology. A strong emphasis was put on how these types of assessments could help protect the community’s natural resources and complement traditional resource management practices. The inclusion of parents in these activities was intended to build broad community support for our science enrichments. Figure 4. Totem pole raising, performed using traditional engineering methods, at the summer culture camp. CMOP-sponsored watershed assessment activities during culture camp emphasize the complementary nature of traditional knowledge and western science. In every visit to Hydaburg we supported Haida cultural reclamation efforts by funding the language preservation activities of a local linguist and by holding frequent meetings with community leaders and elders. This support led to the creation of audio and videographic records of Haida-language stories and recollections by elders and the translation of western scientific terms into the Haida language. The translation process resulted in the creation of new Haida phrases for scientific terms. For example, prior to this project there were no Haida terms for the words “computer,” “calculator” or “camera.” These and other words were added to the Haida vocabulary through a consensus effort by the elders. Appendix I gives a listing of relevant Haida terms. Our assessments were aligned with our student- and community-centered program objectives and were guided by the basic question of how to best serve this specific community’s needs. We employed a mixed-models methodology (Johnson & Onwuegbuzie, 2004) which emphasized qualitative assessments to both measure the impacts of the program on students and community members and to provide feedback for program adjustments. 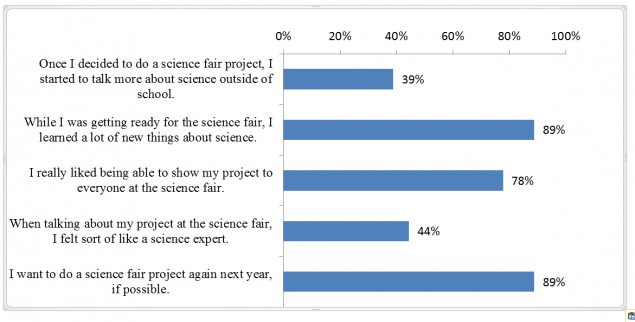 Quantitative surveys, which focused on each year’s science fair, provided an independent measurement of program effectiveness and student attitudes toward science. We note that though the surveys were summative in nature and were focused on each year’s culminating event, our explicit purpose for the survey was to provide ongoing feedback for a program and partnership that will continue beyond the life of an NSF-funded project. Unlike studies that intend to produce generalizable results, our focus was on specific long-term benefits to the communities of Hydaburg and Prince of Wales Island. Our qualitative assessments included interviews of students, teachers, and community members, structured and informal observations of student performance and attitudes, and written assessments of student learning gains. Semi-structured interviews and video recordings of tribal elders provided the foundation for the relevant cultural content and Haida language support. Community needs were assessed through informal interviews with tribal leaders and school parents. Teacher interviews allowed the project team to respond to specific curricular needs and align project activities with learning objectives. High school graduation and college/trade school attainment rates were retrieved via informal interviews with students and teachers. Student participation, attitudes, and learning gains were measured during the KWL exercises described above, with one researcher leading the students in the exercise and another researcher recording student responses and behavior. Learning gains were also measured using “draw-a-watershed” activities in which students were asked to draw and label important components of either the Hydaburg watershed or the marine environment at the mouth of the river, depending on the subject of the learning activity. Quantitative evaluation surveys were independently designed and administered by the University of Washington’s Office of Educational Assessment. Surveys were given to students at two time points: once in Fall 2010 and again in Fall 2011. These survey served two evaluative purposes: (a) to assess the impact of the instructional activities on student’s self-reported knowledge, their interest in science, and their future plans; and (b) to gather feedback about the activities themselves, including students’ satisfaction and suggestions for improvement. In 2010, the survey was administered on paper by the Hydaburg school teachers after the research team had departed. In 2011, the survey was implemented using an online survey tool (University of Washington’s Catalyst Tool); students completed the survey on in-class computers with assistance from their teachers. The survey questions are given in Appendix II. Comparisons of students’ responses to identical questions across the two time-points provide some indication of impact of the program. The school population in this community is quite small (30 students from 5th-12th grade), and although response rate was higher than 50% on any one survey, there was inadequate statistical power to yield significance in parametric tests (i.e., matched-sample t-tests) of longitudinal changes in numerical ratings. Survey results were therefore interpreted qualitatively, relying on open-ended responses, descriptive statistics, and non-parametric tests (i.e., effect size) of longitudinal changes. Because of limitations noted above, our quantitative survey results are most valuable when used to verify and extend our qualitative results. Therefore we present our findings as a series of qualitative lessons learned which we hope will be useful for other researchers and educators working in similar communities. Non-traditional native students benefit from a creative, flexible, and contextualized approach. Although students in this community generally revered and respected their tribal elders, there was sometimes a cultural disconnect. Unlike other tribes that have much or most of their indigenous language intact, this community’s language and traditional knowledge base has been fragmented by historical traumas. The youth in this community have a strong emotional attachment to a Haida identity but speak little Haida and practice their traditional culture sporadically. Thus we could not emphasize Haida language and culture as a way to make science relevant, as recommended by Mack (2012) and others. In fact, the approach that proved effective was the opposite: we used science as a way of affirming traditional Haida knowledge and culture. The effectiveness of our approach was best demonstrated by informally observable improvements in student engagement over time, particularly among students who participated as summer bioassessment interns. Student interest in science grew significantly in year two of the project, with students designing their own science projects, taking part in fund raising activities to attend national or regional science conferences and actively participating in field investigations. To date, 16 students have participated in team poster presentations at national conferences, with two students winning conference awards in 2012. Survey data showed that students were most interested in topics that were both locally relevant and related to traditional Haida culture. 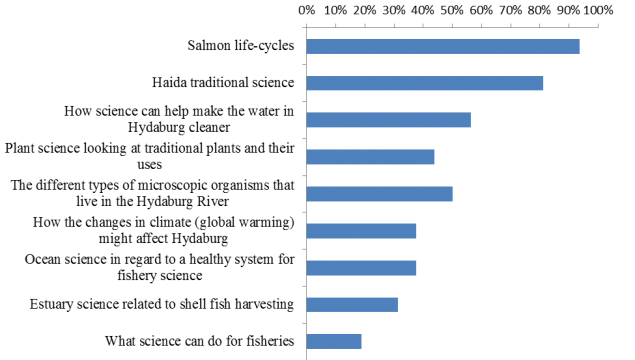 In Figure 5, survey topics which addressed questions explicitly related to customary and traditional use of local resources (i.e. those at the upper end of the chart) were generally of more interest to students than the abstract, generalized science topics at the bottom of the figure. Figure 5. 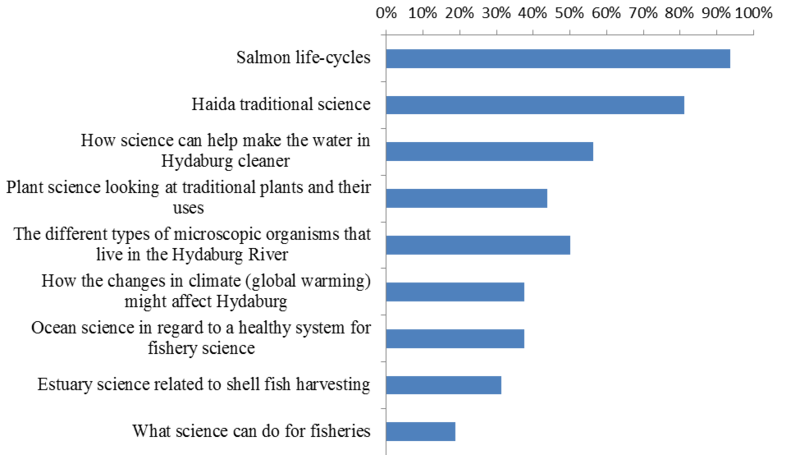 Percentage of 2011 survey respondents (N = 16) indicating they would be interested in studying various topics during future project team visits. Other survey data of student attitudes reinforced the need for contextualization. Participants’ ratings of their interest in general science fields and topics, as well as their confidence with specific skills or knowledge (e.g. how to sample water, or how climate change might affect the Hydaburg river) remained statistically unchanged or, in some cases, decreased between the 2010 and 2011 surveys. Table 1. Descriptive statistics and effect sizes for students’ ratings of their own interests in different fields, from 1 – “Not at all interested” to 4 – “Extremely interested,” across time points. * Participants who responded “I do not know what this is” or did not respond to the item on either the pre- or post-survey were not included in mean calculation or effect size. Students and community members were extremely positive about team visits. In this effort a Haida community member (Smythe) was the explicit project leader, while others were present to provide resources and assistance. Philosophically, this structure was a critical component of our effort as it demonstrated to the tribe that the project team was ready to assist the community in its own agenda. Without this structure we would simply have been a group of outsiders dictating outside solutions to problems which we independently identified. From a practical standpoint, community leadership in the project was necessary to facilitate discussions with parents and other community members. In these discussions, our team leader’s understanding of tribal politics and cultural mores was critical. Navigating this complex social structure requires the proper mix of assertiveness and deference, and it is essential to understand what constitutes appropriate gifts, visits, and social acknowledgments for elders and other community leaders. These social acknowledgments need to be handled with an astute understanding of the social and power relationships between modern and traditional governmental entities, clans, and families. Throughout our program, efforts by teachers, administrators and students were much higher during personal visits by the team. For reasons both within and outside of their control, follow-through by teachers and administrators was rather weak when we were away. A major impediment for this follow-through by teachers was the lack of reliable telecommunications due to both technical and personal issues. Most students had worked with our team leader one-on-one during the winter visit to develop their science fair projects. Survey data indicated that students were overwhelmingly positive about this learning experience. Most students stated that they “learned a lot” and would not have performed a science project without this assistance. See Figure 6. Figure 6. Percentage of students (N = 14) who agreed or strongly agreed with statements about the importance of individual attention from the project team leader. Most of the students in grades 5-10 presented an exhibit at the science fair at the end of each year of the project. The event was well attended by proud family members and tribal elders. Other community partners such as the tribal government and a regional health care provider prepared exhibits devoted to environmental and health issues. Student and family participants were enthusiastic and supportive of each other’s work. The community of Hydaburg has multiple entities – tribal elders, city government, tribal government, the regional Native Corporation, the school district, the school board – with formal or informal authority over specific aspects of life. Sincere attempts to acknowledge and respect a variety of individual, cultural and governmental perspectives were critical for a successful collaboration. As in most rural communities, citizens have witnessed many short-term programs delivered by outsiders that had little long-term impact, and residents were naturally skeptical of outside participants taking part in the education of students. Long-term persistence by the project team was required before the community became fully vested in the effort. This was true for both community members and school teachers. School teachers in general resist making major curricular changes to accommodate temporary interventions by outside interests, and even after long-term trust has been gained, teachers must be allowed time to alter their curriculum to incorporate new concepts and plan for adequate field time. Within the school district, teacher and administrator turnover limits both long-term cooperation and cultural fluency of the staff. This is a problem for many rural school districts and cannot be solved by our team. Rather, we have built an expectation of high personnel turnover into our long-term plan and have built partnerships with community entities that can demand and support high-quality school programs from the school district while the district staff changes over time. We have continued to actively seek partnerships with regional organizations such as business development and environmental agencies and nearby colleges. Progress is sometimes slow, and this program must have a long-term commitment in order to help students secure their footing in both the traditional and modern worlds. After summer bioassessment internships, 8 summer interns have worked for the tribal government performing water quality assessments. The tribe has made watershed science a permanent component of the annual culture camp activities. In our geosciences education program we have developed a bottom-up, community-based approach that strives to keep native students grounded in their native culture by incorporating cultural traditions into geoscience education and by maintaining positive relationships with the tribal community. In this endeavor we seek to develop not just scientists, but native scientists who will support culturally appropriate management and utilization of natural resources in the modern world. 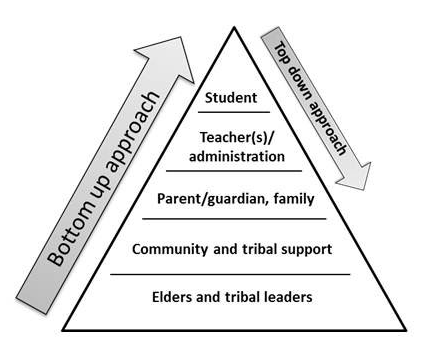 Our approach can be thought of as a pyramid that supports student success. At the foundation of this pyramid lie elders and tribal leaders. This essential foundation supports families and the community at large. This community in turn supports teachers and school administrators, who ultimately prepare students to succeed in a variety of career pathways. Every element of this structure is necessary for student success, and the effective approach is always bottom-up. Figure 8. Community based education model. Elders are always the foundation in a tribal community. By building collaborations with tribal leaders, working directly with community members to identify community needs, and coupling western science with traditional knowledge, we have demonstrated the value and utility of geoscience to the community. This approach establishes a positive feedback mechanism of support and encouragement for students interested in science careers, and will ultimately help create a scientifically trained workforce that becomes an integral part of the tribal community (Smythe and Bueno Watts, in review). Based on our experience in southeast Alaska, we posit that education programs using this community-based approach will increase college attainment, degree completion, career success, and positive community contributions by native students. In our geoscience education program, we have established and maintained a positive working relationship with a tribal community that has a multi-generational legacy of distrust in the outside world. Through positive interactions with working scientists, sponsored trips to national conferences, and summer internships, we have exposed a group of students with no prior college aspirations to the possibility of a career in science. After a successful short-tem experience, we are shifting our attention towards the long-term sustainability of the program, which might over time require its progressive institutionalization within the traditional tribal structures. Our support in recording Haida stories and adapting the Haida language has contributed to the preservation and revitalization of the community’s language and culture. Further, by incorporating traditional knowledge into science lessons, we encouraged students to think of Science as a pursuit that is compatible with Haida culture. 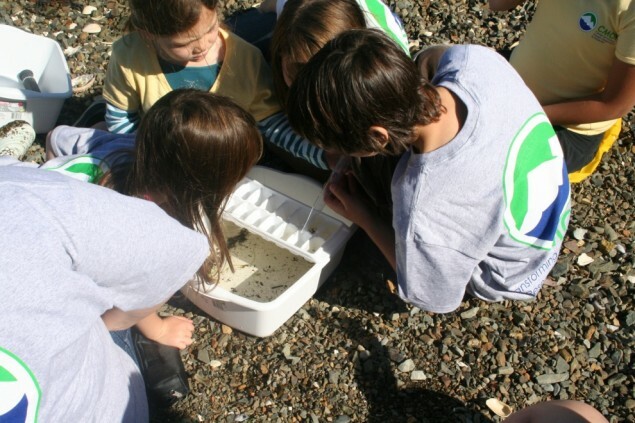 We have taught students and their parents that their watershed and marine environments are complex systems with both abiotic and biotic components, and that their water quality and resource base depends on a properly functioning watershed. We have demonstrated the importance and utility of geoscience to a community with few scientist role models. Thanks to relevant geoscience experiences for students, community meetings, summer culture camp programs and informal discussions, students and community members understand how geoscience and western science in general can be used to protect and maintain their quality of life. This work was supported by the National Science Foundation (NSF), through grant GEO-1034611 and cooperative agreement OCE-0424602. Remote SEM instrumentation was supported by NSF through grant MRI-093450 and by Portland State University’s Center for Electron Microscopy and Nanofabrication. We would also like to thank the many student interns that participated in this program; Meghan Betcher, Vaughn Eide, Kevie Frank, Melissa Gilbert, Sasha Hardy, Melanie Kadake, Marquette Peterson, Krissy Remple, and Althea Walker. Special thanks to our tribal (HCA) and university collaborators that worked to make this project successful. Finally, we would like to thank Dr. Sherry Cady, the principal investigator of a prior NSF grant (GEO-0808211) that established the collaborative foundation upon which our program was built. Aikenhead, G. S. (2001). Students’ ease in crossing cultural borders into school science. Science Education, 85(2), 180–188. Aikenhead, G. S. & Jegede, O. J. (1999). Cross-cultural science education: A cognitive explanation of a cultural phenomenon. Journal of Research in Science Teaching, 36(3), 269–287. Barnhardt, R. & Kawagley, A. O. (2004, Winter). CULTURE, CHAOS & COMPLEXITY; Catalysts for Change in Indigenous Education. Cultural Survival Quarterly, 27(4), 59. Barnhardt, R. & Kawagley, A. O. (2005). Indigenous Knowledge Systems and Alaska Native Ways of Knowing. Anthropology & Education Quarterly, 36(1), 8–23. Beane, R. J. (2004). Using the Scanning Electron Microscope for Discovery Based Learning in Undergraduate Courses. Journal of Geoscience Education, 52(3), 250–253. Berry, M. F., Reynoso, C., Braceras, J. C., Christopher Edley, Peter N. Kirsanow, Elsie M. Meeks, Russell G. Redenbaugh, et al. (2003). A Quiet Crisis: Federal Funding and Unmet Needs in Indian Country. U.S. Commission on Civil Rights. Bransford, J. D., Brown, A. L. & Cocking, R. R. (2000). How People Learn: Brain, Mind, Experience, and School: Expanded Edition. National Academies Press. Brave Heart, M. Y. H. (1999). Oyate Ptayela: Rebuilding the Lakota Nation Through Addressing Historical Trauma Among Lakota Parents. Journal of Human Behavior in the Social Environment, 2(1-2), 109–126. Brave Heart, M. Y. H. & DeBruyn, L. M. (1998). The American Indian Holocaust: Healing Historical Unresolved Grief. American Indian and Alaska Native Mental Health Research, 3(2), 7–26. Brave Heart, M. Y. H. M. (2003). The historical trauma response among natives and its relationship with substance abuse: a Lakota illustration. Journal of Psychoactive Drugs, 35(1), 7–13. Brown, J. S., Collins, A. & Duguid, P. (1989). Situated Cognition and the Culture of Learning. Educational Researcher, 18(1), 32–42. Bueno Watts, N. & Smythe, W. (2012, In Review).It takes a community to raise a scientist: a case for community-inspired research and education in an Alaska Native community. Currents. Burhansstipanov, L., Christopher, S. & Schumacher, S. A. (2005). Lessons learned from community-based participatory research in Indian Country. Cancer Control, 12(suppl 2), 70–76. Cajete, G. A. (1999). The Native American Learner and Bicultural Science Education. Next Steps: Research and Practice tot Advance Indian Education (pp. 135–160). Carr, E. & Ogle, D. (1987). K-W-L Plus: A Strategy for Comprehension and Summarization. Journal of Reading, 30(7), 626–631. Cobern, W. W. (1996). Worldview theory and conceptual change in science education. Science Education, 80(5), 579–610. Costa, V. B. (1995). When science is “another world”: Relationships between worlds of family, friends, school, and science. Science Education, 79(3), 313–333. Davidson-Hunt, I. J. & O’Flaherty, M. R. (2007). Researchers, Indigenous Peoples, and Place-Based Learning Communities. Society & Natural Resources, 20(4), 291–305. Deyhle, D. (2010). Navajo Youth and Anglo Racism: Cultural Integrity and Resistance. Harvard Educational Review, 65(3), 403–445. Deyhle, D. & Swisher, K. (1997). Research in American Indian and Alaska Native Education: From Assimilation to Self-Determination. Review of Research in Education, 22, 113–194. Dlugokinski, E. & Kramer, L. (1974). A system of neglect: Indian boarding school. American Journal of Psychiatry, 131, 670–673. Haig-Brown, C. (1995). “Two Worlds Together”: Contradiction and Curriculum in First Nations Adult Science Education. Anthropology and Education Quarterly, 26(2), 193–212. Hansen, S. A., & Vanfleet, J. W. (2003). A Handbook on Issues and Options for Traditional Knowledge Holders in Protecting their Intellectual Property and Maintaining Biological Diversity (p. 85). Washington, DC. Hatcher, A., Bartlett, C., Marshall, A. & Marshall, M. (2009). Two-Eyed Seeing in the Classroom Environment: Concepts, Approaches, and Challenges. Canadian Journal of Science, Mathematics and Technology Education, 9(3), 141–153. Heusser, M. & Grabher, G. (2002). American Foundational Myths. Gunter Narr Verlag. Inglebret, E., McCubbin, L. & Banks-Joesph, S. R. (2008). Promoting Native American Educational Achievement in Washington State: Progress Update as of Sept. 11, 2008 (Report to the Washington State Legislature) (p. 53). Johnson, R. B., & Onwuegbuzie, A. J. (2004). Mixed Methods Research : A Research Paradigm Whose Time Has Come. Educational Researcher, 33(7), 14–26. Kawagley, A. O. & Barnhardt, R. (1999a). Alaska Native education: History and adaptation in the new millennium. Journal of American Indian Education, 39(1), 31–51. Kawagley, A. O. & Barnhardt, R. (1999b). Education Indigenous to Place: Western Science Meets Native Reality. Ecological education in action (pp. 117–140). State University of New York Press. Kirkness, V. J. & Barnhardt, R. (1991). First Nations and Higher Education: The Four R’s. Journal of American Indian Education, 30(3), (online). Lomawaima, K. T. (1995). They Called It Prairie Light: The Story of Chilocco Indian School. U of Nebraska Press. Ludwin, R. S., Dennis, R., Carver, D., McMillan, A. D., Losey, R., Clague, J., Jonientz-Trisler, C., et al. (2005). Dating the 1700 Cascadia Earthquake: Great Coastal Earthquakes in Native Stories. Seismological Research Letters, 76(2), 140–148. Mack, E., Augare, H., Different Cloud-Jones, L., Davíd, D., Quiver Gaddie, H., Honey, R. E., Kawagley, A. O., et al. (2012). Effective practices for creating transformative informal science education programs grounded in Native ways of knowing. Cultural Studies of Science Education, 7(1), 49–70. Mazzocchi, F. (2006). Western science and traditional knowledge. Despite their variations, different forms of knowledge can learn from each other. EMBO reports, 7(5), 463–6. Nelson-Barber, S. & Estrin, E. T. (1995). Bringing Native American perspectives to mathematics and science teaching. Theory into Practice, 34(3), 174–185. Phelan, P., Davidson, A. L. & Cao, H. T. (1991). Students’ multiple worlds: Negotiating the boundaries of family, peer, and school cultures. Anthropology & Education Quarterly, 22(3), 224–250. Riggs, E. M. (2005). Field-based education and indigenous knowledge: Essential components of geoscience education for Native American communities. Science Education, 89(2), 296–313. Simpson, L. (2002). Indigenous environmental education for cultural survival. Canadian Journal of Environmental Education, 7(1), 13–26. Swisher, K. G. (1996). Why Indian People Should Be the Ones to Write about Indian Education. American Indian Quarterly, 20(1), 83–90. Whitbeck, L. B., Adams, G. W., Hoyt, D. R. & Chen, X. (2004). Conceptualizing and measuring historical trauma among American Indian people. American Journal of Community Psychology, 33(3), 119–130. Wright, S. C., Taylor, D. M. & Macarthur, J. (2000). Subtractive bilingualism and the survival of the Inuit language: Heritage-versus second-language education. Journal of Educational Psychology, 92(1), 63. Zandvliet, D. B. & Brown, D. R. (2006). Framing experience on Haida Gwaii: An ecological model for environmental education. Canadian Journal of Environmental Education, 11(1), 207–219. The following words were used in Haida instruction during our geoscience education program. The list includes both pre-existing words and new words created to describe modern concepts and objects. New words and phrases were formulated by tribal linguist Benjamin Young with instruction and advice from tribal elders. Solid: K’ats’áang (to be hard) K’ayee k’ats’aang. The University of Washington’s Office of Educational Assessment (OEA) has been asked to conduct an evaluation of the geoscience education sessions you have taken part in. We are asking you to help us with this evaluation by completing this online survey. Your answers are very important in helping make sure this program continues and gets better. Your participation is voluntary: you do not have to complete the survey if you do not want to and you may skip any questions you do not want to answer. Your responses will remain private and confidential. That means that only OEA will know who gave which answers. Wendy, Rick, and your teachers will not know that you were the one who gave your answers. Even though you are giving us your name below, only OEA will have access to the list of names. OEA will put all the answers together and submit a report to the project leads (Wendy and Rick). Your name will not appear in that report. If you have any questions about this study or the survey, you can email or call Bayta Maring at the University of Washington Office of Educational Assessment (baytam@uw.edu, 206-543­5190). 1. Are you a . . .
4. Did you participate in the Science Fair? 4a. Did anyone in your immediate family (parent, guardian, sister, or brother) go to the science fair? 4c. In February, Wendy was available to talk with students one-on-one about their science fair projects. Did you talk with Wendy about your project? 4d. Please rate how much your agree or disagree with the following statements about your conversation(s) with Wendy about your science project. 4e. What would say was the most helpful thing Wendy said or did when you were talking with her about your project? 4f. Is there anything else Wendy could have said or done that would have helped you more? 4i. What would you say was the best thing about the science fair? 4j. Is there anything that would have made the science fair better? What are your suggestions? During one in-class activity with Wendy, the class was able to see what a scientist saw through a microscope in Oregon. Students gave directions to Rick, and he moved the microscope so you could see different things. 5. Did you take part in this activity? 5a. What, if anything, was the most important thing you learned during this activity? 5b. How interested would you be in doing something similar (using a computer to steer a microscope in Oregon) in the future? As you may know, Wendy is involved in the Center for Coastal Margin Observation and Prediction (CMOP) in Oregon. Each summer, the Center has internships available for students like you who might want to study science and how it might play a role in Hydaburg. 6. Would you be interested in such an internship? 6a. Is it OK if OEA tells Wendy that you are interested in being part of an interest. 7. What other things, if any, have you learned from the activities you have done with Wendy and Rick? Some of the questions in this section might be familiar to you, because OEA asked them in a survey we did at the beginning of the year. Go ahead and answer the questions based on what you think *now* at the end of the year. Do you know . . . . ? 10. Please tell us about your interest in the following fields. 11. When you hear the word “scientist,” what it the first thing that comes to mind? 12. Do you think that science is important for people in Hydaburg? Why or why not? 13. Do you know any Alaska Native scientists? Who? 14. Do you think you can be a scientist if you wanted to? Why or Why not? 15. Please tell us about your future plans. Do you plan on . . . . ? 16. Any additional questions or comments about the activities you have done with Wendy and Rick, or about science, or your future plans?